Step 1: on the home screen of the application go to the Category tab. Step 2: once there, you’ll see that there are several categories that contain the different contents that we can find in this app. Just click on the Music option. Step 3: you’ll be shown a list of music videos next to which you’ll see a button with an arrow pointing downwards. Just click on this button. Step 4: the next step is to choose the output format and quality for the audio you’re going to download. And that's it, the song will download immediately in MP3 format if that's the file type you choose. Step 1: click on the YouTube button. Step 2: use the search bar to find the band or singer of the song you want to download. Step 3: now choose a result and follow the steps described above. In other words, you’ll have click on the button located to the right of each video and then just the output format and quality. 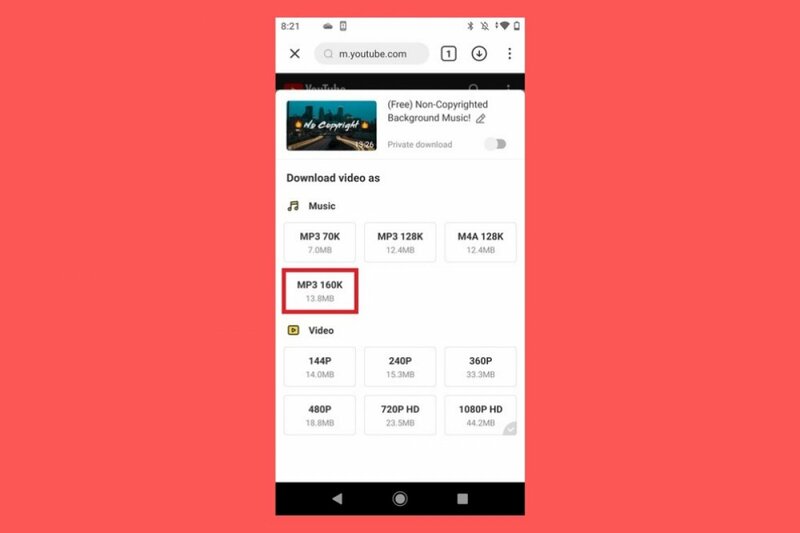 As you can see, this procedure is identical to downloading videos from YouTube with the only exception that the Music category already has a selection of music videos curated by the app’s editors. However, if you prefer to search manually, you’ll have many more options to choose from. What is SnapTube and what's it for?